# Tensors can be moved onto GPU using the .cuda method. # (except for Variables created by the user - their grad_fn is None). # we can call .backward() on a Variable to compute the derivatives. # If Variable is a scalar (i.e. it holds a one element data), you don’t need to specify any arguments to backward(), however if it has more elements, you need to specify a gradient argument that is a tensor of matching shape. 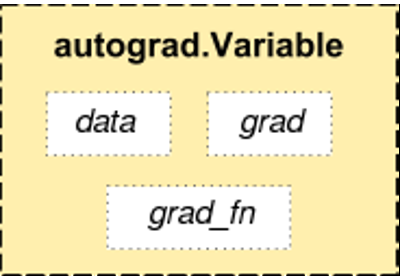 (where gradients are computed) is automatically defined for you using autograd. You can use any of the Tensor operations in the forward function.